It does not take a marketing sage to understand the degree to which social media has transformed the way companies approach their branding practices. The hysteria over social media and its potential life altering effect on branding methods has led companies to hire creative agencies and an abundance of technologists to help implant their brands throughout the digital universe. However, few brands have been able to generate meaningful consumer interest online. Why? It has become evident that social media has put brands on a level playing field, and as a result has made brands less significant and stimulated a much greater need to distinguish oneself from the rest of the pack. Think about it, in social media platforms like YouTube or Instagram, corporate brands rarely appear (in fact, only three have cracked the YouTube top 500). Instead, you find entertainers you have never heard of. The fact is big companies excel at organizing and executing complex marketing programs, but fail at cultural innovation, which is what audiences on social media thrive on. Consumers have little interest in branded content to show up on their newsfeeds, they view it as brand spam. So what can companies due to evolve and approach branding in the age of social media. Consumers want to be presented with ideas that go beyond the traditional ways of thinking. They want something inspiring, different and interesting. This will require organizations to challenge cultural orthodoxies and promote innovative ideologies that break with category conventions. As time passes, disruptions in society cause an orthodoxy to lose footing. Consumers then begin searching for alternatives, which opens up an opportunity for innovative brands to push forward a new ideology in their categories that are meaningful to customers. Social media has brought together communities and people that were once geographically isolated, greatly increasing the degree of collaboration. The Harvard Business Review recently coined the term “crowdculture” to define the way social media has altered how culture works and is influenced. 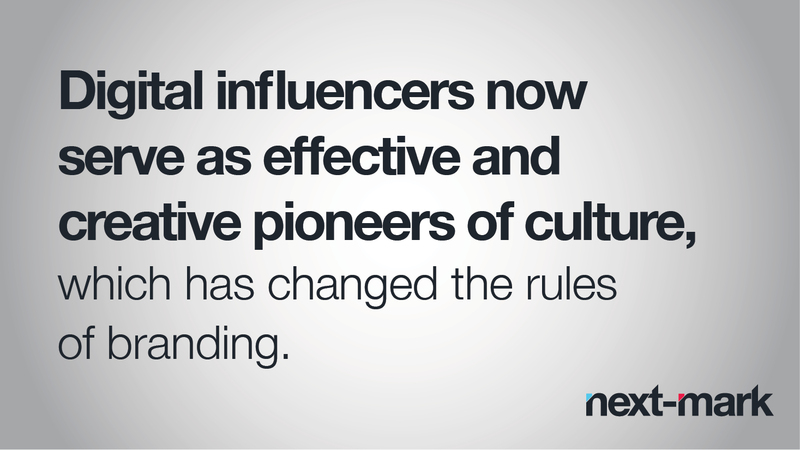 Digital influencers now serve as effective and creative pioneers of culture, which has changed the rules of branding. Understanding crowdculture is to understand what branding methods are inspired by social media. One way for a brand to sustain its cultural relevance is by playing off a particularly intriguing or contentious issue that dominate the media and turning it into something innovative and thought provoking. Take Chipotle for example, with its efforts to champion food without GMOs. Despite the fact that this claim challenged their credibility, once the company successfully convinces the crowdculture that it’s doubling down on its commitment to get preindustrial food right, the crowd will advocate for its brand once again. With all the chaos and desire to appease and appeal to as many customer segments as possible, sometimes it is easy to lose sight of your core brand promise. However, nothing can turn off consumers like a company going through an identity crisis. So go out there innovate, challenge the status quo, push forth into uncharted territories, but remember what makes your brand unique and stay true to your brand promise! At Next-Mark we pride ourselves in having the skills and know how to create that groundbreaking, avant-garde conversation about your brand. We love helping our clients reach new heights through social media and innovative branding techniques.